​Dr. 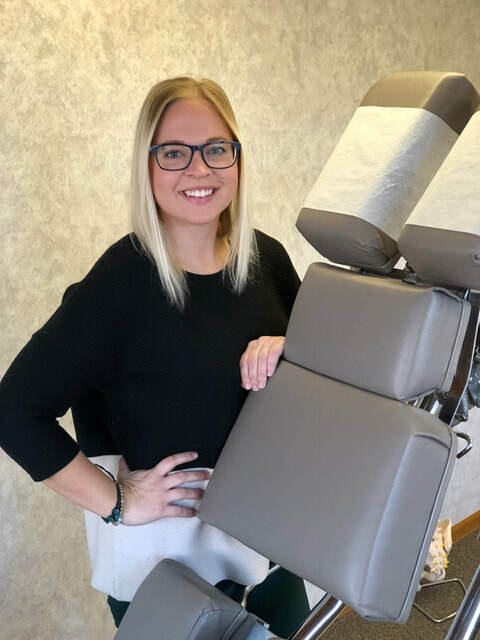 Chantel has recently opened Pokorny Chiropractic Clinic in South Dakota, serving the Rapid City area. She was previously practicing with her dad and brother in Dickinson, ND. While practicing chiropractic in Dickinson, Chantel was able to provide chiropractic care for all age patients- infants, children, geriatrics, and every age in between. Dr. Chantel also had the opportunity to care for rodeo, high school and college athletes. During her internship with her dad, Dr. Chantel also grew her knowledge in caring for pregnant woman at all stages of pregnancy. All locations of Pokorny chiropractic clinic utilize the Gonstead technique. This chiropractic technique is very specific, utilizes x-rays if necessary, and is performed by hand only. This technique is safe, gentle and effective for every patient.